It’s 2018, and of course we can expect new home design trends. Though it’s still very early to tell exactly what the trends will be, there are some predictions floating around that gives us an idea of what we might see. Take a look at the list below to see what everyone is talking about. The kitchen is always where a hefty amount of the product budget gets used on. And rightly so. 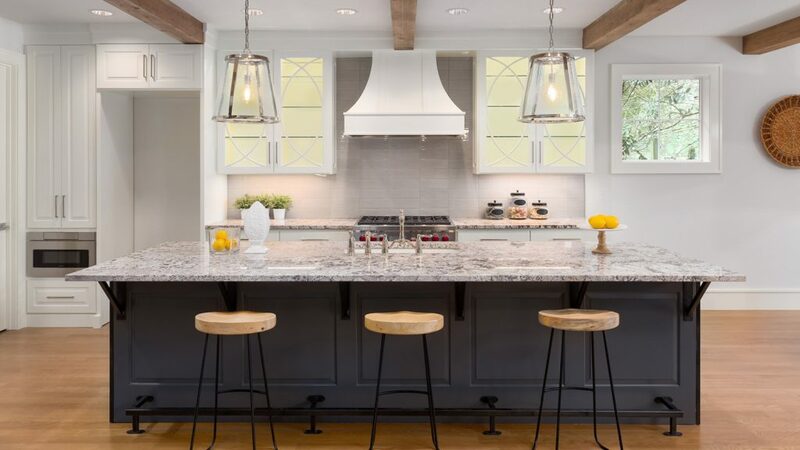 While white kitchens are expected to remain popular, that budget might be spent or further customization and personalizing the kitchen. This might be accomplished by more colors and colored elements being added in specifically on cabinetry. White and stainless sinks used to be the standard. But, we might see more unique elements brought in such as concrete or copper. We could also see some more unique styles themselves. Warm tones and earthly tones are expected to be used as opposed to cooler colors in the common areas of a home. Bedrooms are expected to shy away from something punchy though and stick with neutrals to keep the space feeling relaxed. Vintage styled lights will remain popular. More focus will be directed to feature walls outside of the typical places (i.e bathrooms). Patterns and wall-paper/pattern looks using new types of material are expected to begin to appear. That’s the great thing about a custom home…it’s custom! You have the opportunity to customize your new home to exactly what you want. That is also a caution to take your time and plan carefully, looking at as many examples as you can of the look you are going for. Winterfell Construction can be your guide to your new home in Panama City Beach for 2018!